If you think back to your childhood and your favourite thing to play… there is a high chance that your childhood memory is of doing something outdoors and an even higher chance an adult isn’t involved in the play. However, these days letting our children play unsupervised by an adult, especially outside, is very rare. What impact is this having on our children’s development? My husband and I have very different playground styles. He is more likely to be found right next to our 3-year-old saying things like “be careful” and “are you sure you can do that?” He likes to ride down the big slide with our 3-year-old on his lap (this could simply be because he is a big kid himself). Whilst I am more likely found standing back, taking an opportunity to socialise with another parent, one eye on our adventurous little boy, saying, “you can do it” and “have a try”. Neither of these approaches is the right one, or the wrong one, they are just simply our parenting styles. I think between us our boys tend to get a good balance of learning how to be a little cautious and also how to take a risk here and there. Although the term ‘risk-taking’ often has negative connotations, the reality is that the willingness to engage in some risky activities provides opportunities to learn new skills, try new behaviours and ultimately reach our potential. Challenge and risk, in particular during outdoor play, allows children to test the limits of their physical, intellectual and social development. Allowing this type of behaviour can be very scary for parents. No one wants their child getting injured and often as adults we see more dangers because of our own past experiences. However, there’s a real catch in thinking this way, how will our children experience things if we don’t allow them to try anything? Some examples of “risky play” are hammering, climbing trees, jumping from play equipment and climbing up the slide. Children can be encouraged to take these risks in supervised environments, when parents or educators are advocates for developing the whole child who is prepared for life-long learning. 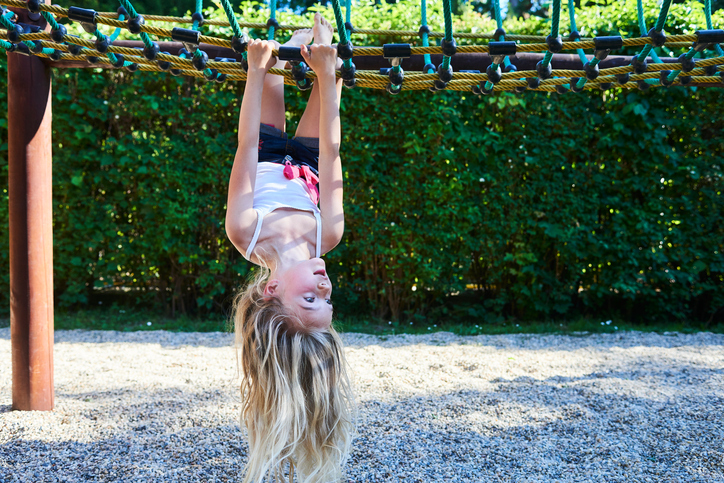 If you are nervous about allowing more risky play into your child’s life, you’re not alone. It’s normal to feel uneasy and a little anxious about seeing your child try things they have never attempted before, big or small. But, here’s a little tip. Try taking baby steps. Literally, take a baby step back at your next visit to the park, and then next time take another tiny step back. Observe your child, follow their lead. If they are feeling unsure and look for you to help them, then step in, but otherwise give them some room to experience some failure as well as successes all by their own making. We are at risk of this next generation of children growing up not knowing what a small failure feels like and ultimately how to pick themselves up and move on. As your child grows, things are not always going to be easy, you can’t be there all the time. They need to be able to manage situations that don’t go the way they hoped on their own. A child who can have a little tumble in the playground and pick themselves up and try again, is developing the emotional intelligence to be able to take on the world and know that they can overcome things and move on. 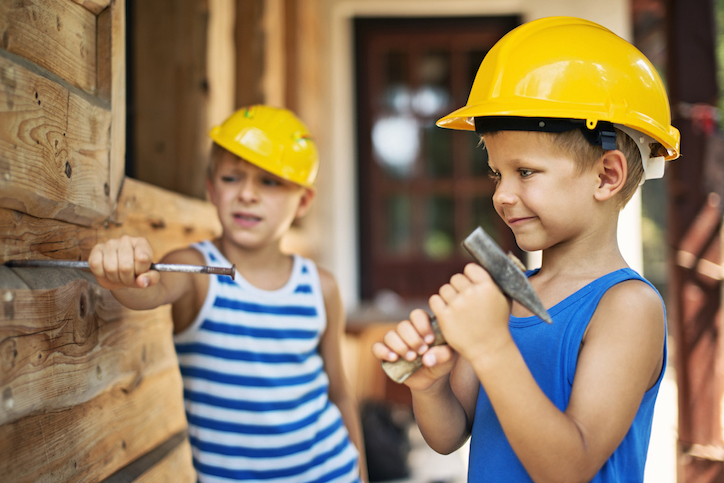 “Without risky play, children don’t learn risk management. (This is not something you want your child to learn behind the wheel of his first car. )” Little & Wyver, 2008; Curtis and Carter, 2000. Wrapping our children up in cotton wool is counter-productive. Children need to be taking risks – it’s part of their developmental learning curve. Children need to be allowed to maybe hurt themselves, in minor ways, now and then. Risky play teaches analytical skills that are vital for academic learning. “Children who aren’t allowed to take risks are more prone to anxiety conditions later in life. No risk = fear, insecurity, anxiety, lack of self-esteem.” Sandseter & Kennair, 2011. There are huge benefits to allowing a child to take some risks, but it can be very difficult as a parent to allow them to take these risks when we very quickly judge each other’s parenting. This goes both ways; a parent who is hovering over their child at the park may be doing so for a very good reason, we shouldn’t judge or comment on the choices we make as parents. What we can do though is educate ourselves and reassess what our limits are. We can also support each other as parents. Perhaps instead of standing back shaking our heads at another parent’s technique, maybe we should talk to each other, and listen. With more of a village atmosphere in a park, maybe more parents could feel relaxed enough to allow their children to explore and experience their world. Now… it’s time to play!